The Greeks are known for their beauty, power and godliness, and no less can be said for The Ciklada, based in Split, Croatia. 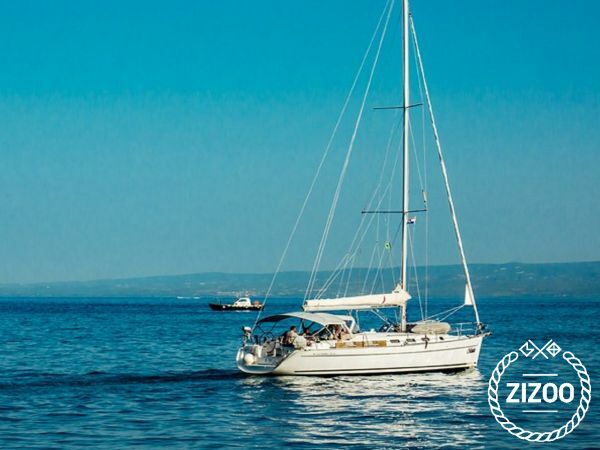 This Beneteau Cyclades built in 2007 is a wonderful means to explore the Adriatic Sea. The spacious four-cabin boat sleeps 8 comfortably with plenty of extra room for 2 more in the salon. The boat also has a well-stocked kitchen area and two separate bathrooms. It's perfect for a pair of families looking to take the kids out to sea. Sail toward the oldest native Croatian town of Sibenik or continue to the magnificent and desolate Kornati Islands. Search for hidden coves and revel in the remains of what, legend says, is an old European cowboy movie set on the Island of Mana. And don't forget the friendly crew, always available to get you off and running, or shall we say, sailing. You can rest assured that all your needs will be well taken care of.